From early morning, we moved from car to car to reach a very bumpy road. I shifted from window to the other holding my phone in one hand while capturing the feelings of claustrophobia. 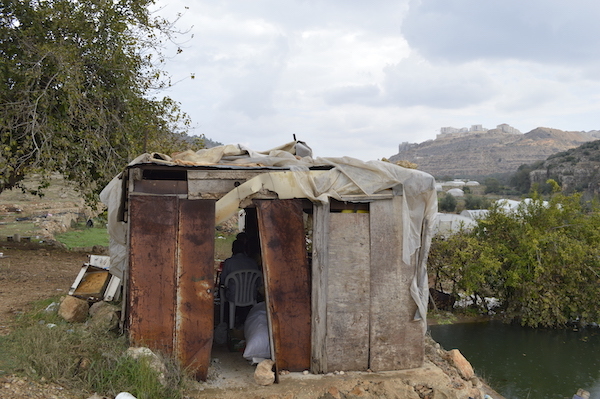 We were in a valley, surrounded, high-above, by the illegal Israeli settlement of Bitar Elite, choking the lands of the villages nearby including our destination Wadi Fuqeen. We reached an old and proud mulberry tree near farming lands, and green houses. As soon as we sat under its beautiful green leaves blushed with autumn, the meeting began. I thought to myself, this must be the most comfortable “office” in the world. We were in this valley with a group of small-scale farmers, discussing managerial issues related to the newly established community fund. 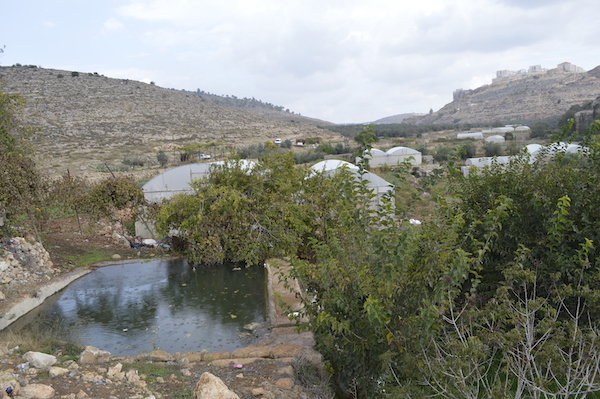 A member from the Palestinian Diaspora, whose origins are from this village, contacted the Dalia Association to create a new village fund to support the local small-scale farmers, as they are currently facing threats of mono-cropping, losing their land to this illegal settlement, and lack of interest from the younger generation in farming. The idea of someone still contributing to their country from the Diaspora, holding activities, and engaging others to fundraise for the village fascinated me. It made me believe that there really are no borders to solidarity. When people believe in something good, they achieve the impossible to make it happen. 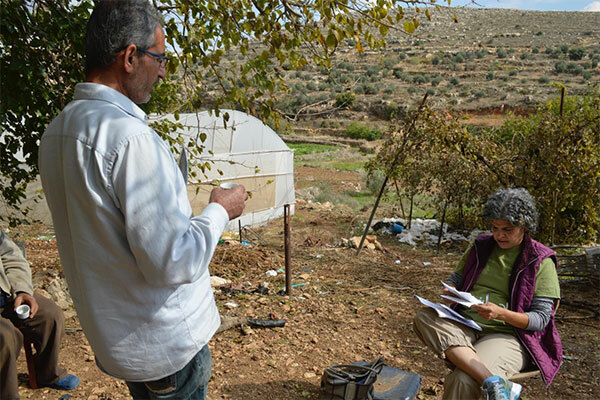 “Did you prepare the receipts?” asked Aisha, the executive director of the Dalia Association. “Yes” said one farmer, as he reached into a shiny plastic folder and leafed through 19 small pieces of paper, and handed them to Aisha. Suddenly, a crash of thunder announced the arrival of rain showers, and we immediately shifted to an improvised shed to seek cover. The conversations continued over the loud sounds of expansion of the settlement, and the soft pattering of rain on the thin aluminum roof. Since Dalia Association is a community foundation, and one of our roles is to link communities with experts and knowledge, we ended with putting a plan to start this learning and exchange of experiences among the farmers. We left with smiles on our faces, muddy shoes, and a sack of fresh, round and bright fuchsia radishes. I predicted tomorrow’s homemade dish: lentil soup with fresh radishes on the side; plump with solidarity. 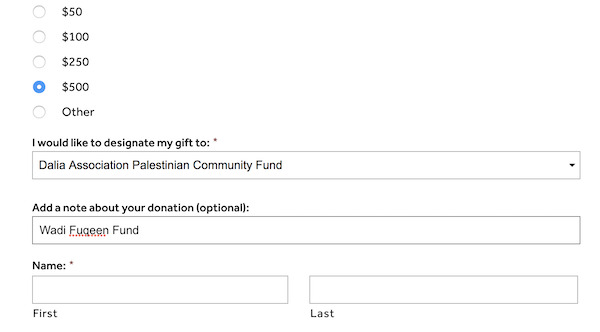 You can also support the farmers by donating directly to the fund: https://bit.ly/2ARXJRg and indicating in the notes section that you intend the donation to be for the fund as shown in this image. The Dalia Association was invited to the Without Borders conference organized by the Arcus Center for Social Justice in Kalamazoo, Michigan. Groups invited were diverse but similar in their values for a just world. Unlike most conferences, there was no pre-set agenda. Rather, we participants, set the agenda and the conversation around the topics and issues that we were most concerned. In addition, site visits were organized for each participant group based on interest. 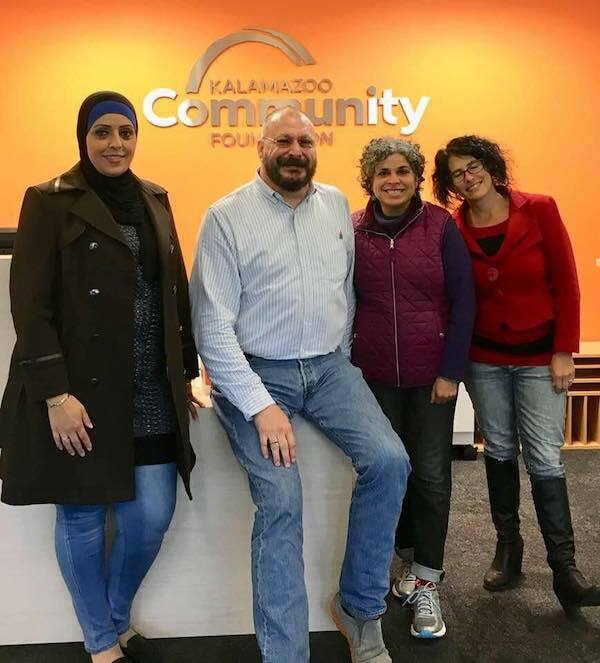 The Dalia Association was taken to a yoga class for movement leaders, a visit to the Kalamazoo community foundation, and to a Kalamazoo University class on Gender where we spoke about Palestine and our work at the Dalia Association. We visited an exhibit on the prison industry in the US at the nearby Western Michigan University and had dinner with student activists from around the country who were on a retreat that weekend in Kalamazoo. A site visit to Detroit was included in the conference program. The weeklong program involved numerous learning conversations, indigenous cultural exchanges, physical labor for those who got up early, and of course, fun. I have decided to share my personal highlights of this experience. Meeting the activists from Defending Boyle Heights – I immediately connected to these young, educated, first generation Mexican Americans living in the Boyle Heights neighborhood of Los Angeles. I too grew up with an immigrant family in a working-class immigrant neighborhood. Defending Boyle Heights is a coalition of local grassroots groups fighting the gentrification of their neighborhood. Gentrification efforts from external parties continue to establish trendy restaurants, art galleries, and cafés and convert apartments to high price condominiums. The coalition aims to preserve the neighborhood to ensure rents remain low so that it remains home for this immigrant community. Visiting D-Town Garden in Detroit – I joined the early risers to set out early to visit this farm and help the volunteers with the morning harvest. It was Saturday and the volunteers were harvesting in preparation for that day’s farm stand. D-Town Garden is a project of the Food Sovereignty Alliance in Detroit. The farm is on a public park. The city rents the land to D-Town Garden for $1 per year. There are many examples in Detroit of people taking over empty side lots to grow food, but owning these properties seems to be difficult through the bureaucracy of the city’s procedures and departments. 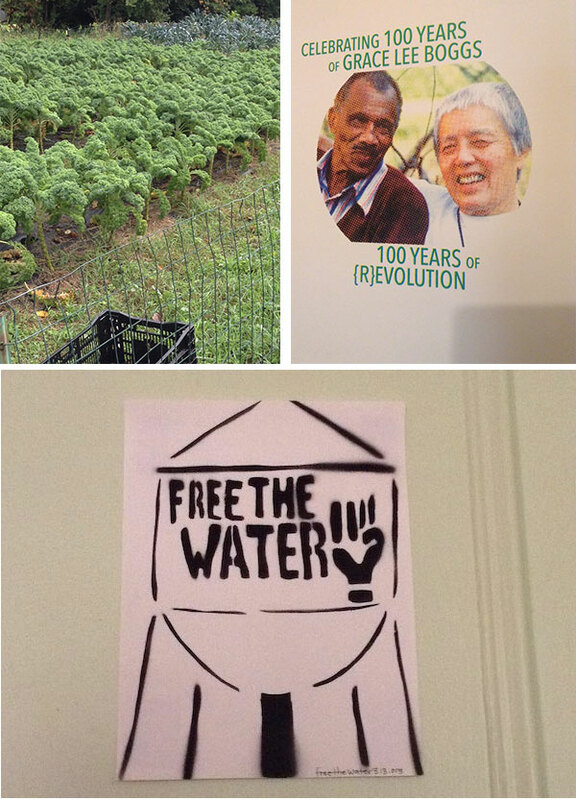 Boggs Center – This center is located in the home of Grace Lee and James Boggs, key leaders in the people’s movement of Detroit. Shai, a volunteer at the center explained that Grace Lee almost lost this house after her husband passed as the landlord attempted to triple the rent. However, the people organized and mobilized their own resources to purchase that house. There is a phenomenon in Detroit around land banking where groups of people purchase homes and land to ensure they remain affordable and protect them from developers and speculators who will convert such properties for the consumption of higher income folks. Feedem Freedom Street in Detroit – This street, once comprised of foreclosed homes and empty lots, includes a community garden, a community building, and a solar powered theater. This ‘conference’ provided an opportunity to explore, learn, and reflect. As I return to my daily grind at home, I continue to reflect on this experience. At Dalia Association, we focus on holistic community development that is inclusive and just. While it may look different from city to city or country-to-country, the definition is quite similar; Affordable housing. Access to land. Food sovereignty. Cultural preservation. These are basic human rights that everyone is entitled. "The experience of participating in the" Without Border" conference at Kalamazoo University in Michigan was very enjoyable and wonderful. I met groups from different countries and cultures, learned a lot from their experiences and enjoyed listening to their languages ​​too. I was amazed by the different community farms we visited, as I witnessed the fruitful relationship between land owners and workers. I also listened to the suffering of many of the participants, and sympathized with and saw the true meaning of the phrase “What doesn’t kill only makes you stronger”. During our stay, we spoke to different groups and individuals about Palestine and the work of Dalia and were met with solidarity. It was also wonderful to meet face-to-face our partners, donors and supporters from across the United States". Rania Younis, Financial and Administrative Officer at Dalia. In September, 2018, Aisha attended the annual membership meeting of the Foundations for Peace. The Foundations for Peace is a network comprised of local, grassroots community philanthropy organizations who focus their work on peacebuilding and social justice through community philanthropy. During this annual membership meeting, a one day conference was organized focusing on the question of international aid and the role that small, indigenous organizations and groups can play in sustainable peacebuilding that has a human rights and social justice focus. A peer learning event was also organized in conjunction with the annual meeting. The peer learning event focused on sharing practical examples of social economy models in the north of Ireland. Social economic models play a critical role in the community’s economy while using the profits generated to support social initiatives and community priorities. Dalia, with the contribution of Heinrich Böll Foundation (HBS), organized a series of mujawart (convening) to explore the role of community philanthropy in durable development. Two topics were tackled in the series. 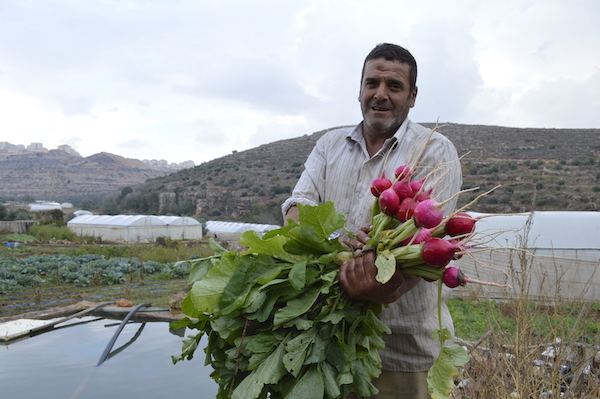 The 1st mujawara in the West Bank focused on the role of community philanthropy in achieving food sovereignty, while the second mujawara focused on low-tech local solutions for environmental challenges in Gaza. 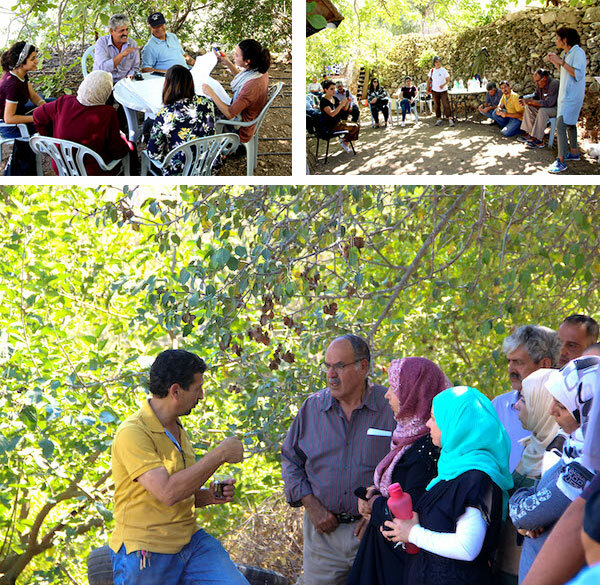 In the West Bank, round table discussions reflected on the role of the community in achieving food sovereignty. 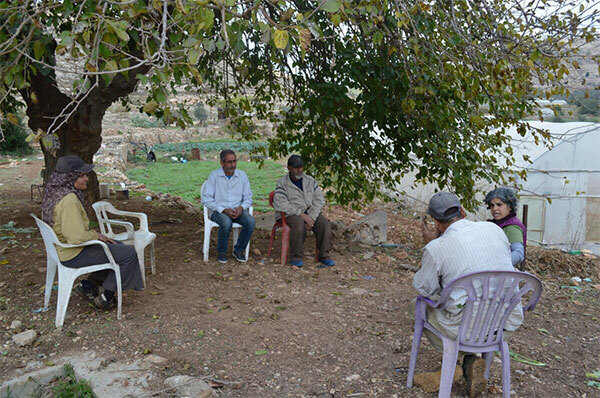 They discussed issues relating to supporting small scale farmers, adopting ecological food production techniques, preservation and production of local/ heirloom seeds, preservation and rejuvenation of water resources, and a criterion for achieving food sovereignty in Palestine. Dalia Association is among others who are part of this growing movement that believes that a holistic development, including food sovereignty, paves the way for self-sufficiency and wellbeing of humans, the environment and nature through community philanthropy. 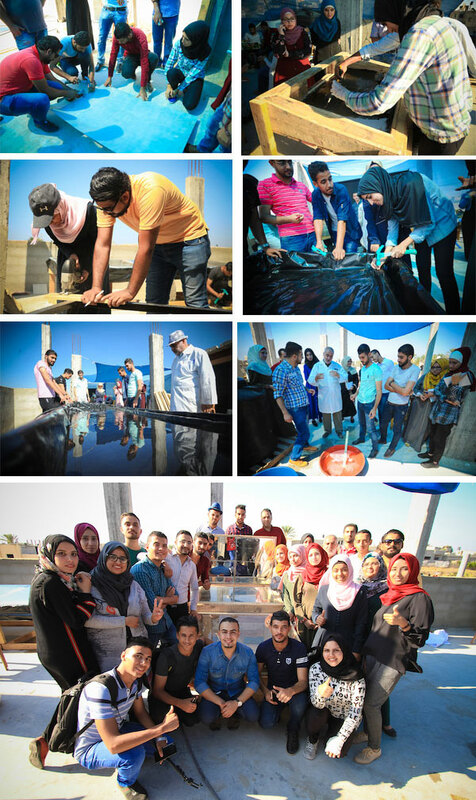 In Gaza, Dalia Association saw the need for community-led local solutions to tackle basic needs in blockaded Gaza. The series of mujawarat (convening) focused on ways to access clean water, eco-friendly energy systems, and non-chemical cleaning products. The mujawarat were done using a Do It Yourself (DIY) strategy to increase accessibility to such knowledge. They held four DIYs: water distillation system, solar cooker, solar dryer and natural cleaning products. We organized a mujawara on the role of the South African civil society in fighting Apartheid. The South African Ambassador, H.E. Mr. Ashraf Suleiman recounted his personal experience on the path to seek justice. 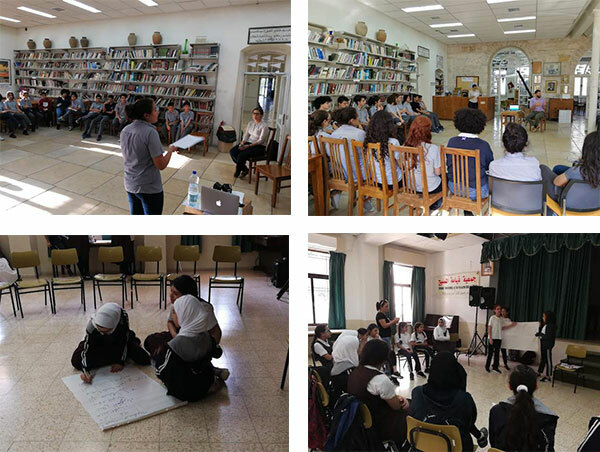 Once again, this academic year2018/2019, we are implementing the IBDA’ youth program in the Orthodox School of Bethany in Al ‘Eizariyeh, and at the Ramallah Friends School. For the first time, we are also implementing the program in the UNRWA girls school in Aydah refugee camp, and in Ibad Al-Rahman girls school in Gaza. The first few meetings included an introduction to our community controlled programs, what community philanthropy is, and a description of the IBDA' program. Therefore, we would like to thank everyone who donated to the fund, and we wish the students continued success on the path of community giving as they volunteer to tutor schoolchildren in return. We would like to invite you to participate in the social change auction “Give to the Balad", which will take place at Khalil Sakakini Cultural Center, Monday 26-11-2016 from 6:00-9:00 pm. 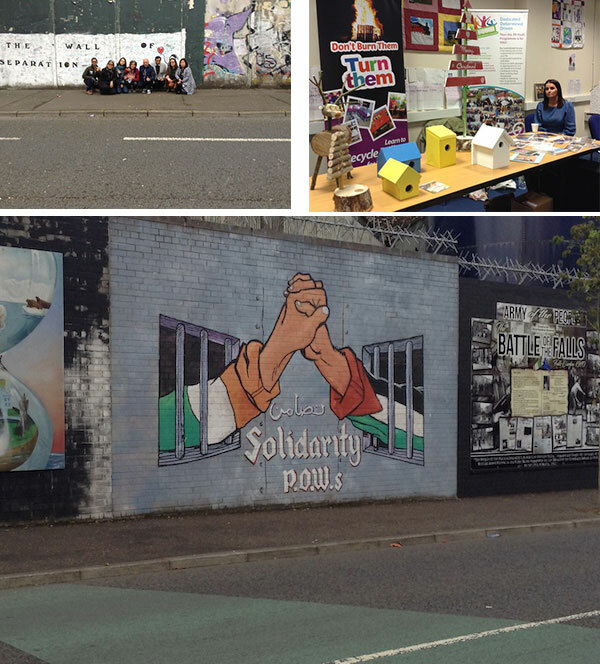 The Social Change Auction is Dalia’s effort to support local community solutions and initiatives in Palestine. The event is similar to an auction, except that selected initiatives do a pitch about their initiative and how it contributes to community development in Palestine, taking into consideration the environmental dimension as well as the social, cultural, and the local economy. In return, you are welcomed to support the initiatives by offering donations on spot (live crowdfunding). The minimum donation is 20 NIS (The cost for a large cappuccino). We hope you can join us this day, and let’s Give to the Balad and support community solutions! • Zeina-Tijmana: This initiative along with the Zeina cooperative gathers women from the Bedouin community of Um Al Naser to produce handmade toys, in order to empower women economically, and provide income to support their families socially and culturally as well. The toys are made up of cloths or wood, as it is their belief in the importance of using safe and environmentally friendly materials for the children. The cooperative also links these women with civil society organizations working with children to achieve their mission and vision. • Aboud Kitchen: The Barbara Women Society in the village of Aboud plan to establish a kitchen to generate income for their current and future activities. Through this kitchen they aim to provide job opportunities for the local population, as well provide healthy meals for new working mothers, who often rely on the purchase of fast food. At the same time, the kitchen aims to revive local dishes that are disappearing as they will also provide cooking classes. All of this in an effort to support the activities for the elderly day care center, and promote local tourism in the village, and save the culinary heritage in Palestine.